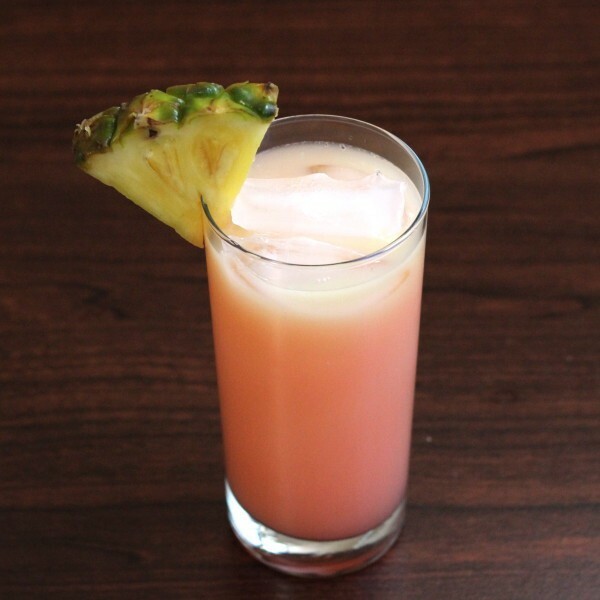 The Malibu Punch cocktail is a “sunset” style drink, with grenadine added at the end so it looks like the late afternoon sun. Really, everything about this drink is reminiscent of being in Malibu. The main flavors here are simply coconut and pineapple, with the grenadine adding a hint of cherry. This is a great drink for when you’re feeling mellow, or wishing you were on vacation. Fill a collins glass with ice. 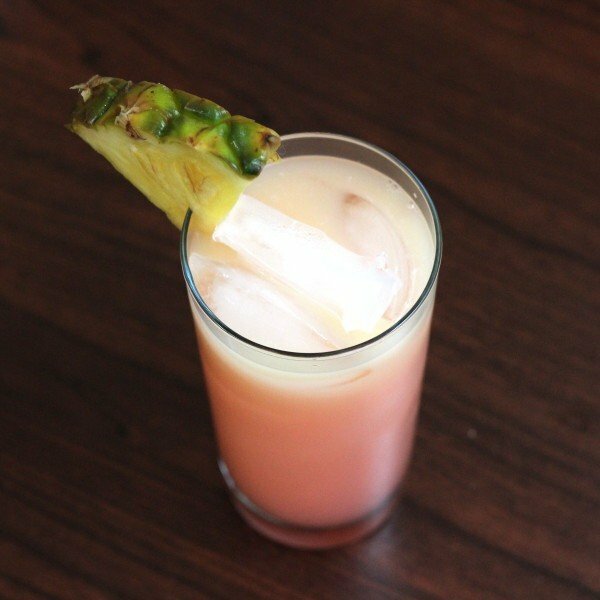 Pour in the rum, and then fill the rest of the way with pineapple juice. Add the splash of 7-up and finally the grenadine on top, so it can sink slowly. Can this be converted into a larger quantity for a party? Sure! Check out this page: https://mixthatdrink.com/entertainment-tip-mixing-multiple-drinks/ If you’re serving it within the next few hours, you can go ahead and add the 7-Up – the bubbles will keep. If it’s more like a day ahead, I would mix everything but the 7-Up, and just add the splash of it to each drink as you pour.